The following resources were created by Susan Gunn, Communications Manager. Print and share our handout. Pope Francis designated the First Friday of Lent, February 23, to be a day of prayer and fasting for peace for South Sudan and the Democratic Republic of the Congo. Overwhelming violence and political turmoil in South Sudan and the Democratic Republic of Congo have all the ingredients for a humanitarian catastrophe: violence, hunger, disease, and homelessness. In response, Pope Francis invited all people of faith to observe a day of prayer and fasting for peace dedicated to the two African countries on February 23. Download our two-pager Pope Francis’ message for the World Day Peace calls on the world to view global migration not as a threat but as an opportunity to build peace. Nearly 200 nations will join the UN Climate Summit in Paris, starting November 30. We need them to take bold action and solve the current climate crisis. To help you join the millions of people worldwide praying and acting for the care for the earth, the Maryknoll Office for Global Concerns will offer a weekly series, Path to Paris. Each week, a two-page prayer-study-action guide will examine the devastating impacts of climate change and what we can do, leading up to the UN Climate Summit in Paris. The first issue of Path to Paris examines the impact of rising sea levels, especially on the people of Bangladesh. It also offers ideas for making a personal commitment to lifestyle changes, for taking action locally and globally, and for prayer. The second issue of Path to Paris examines the impact of extreme weather, especially on the people of the Philippines. And it offers ideas for making a personal commitment to lifestyle changes, for taking action, and for meditation. The third issue of Path to Paris examines the impact of climate change on food security, especially on smallholder "family" farmers in Peru. And it offers ideas for making a personal commitment to lifestyle changes, for taking action, and for meditation. The fourth and final issue of Path to Paris examines the impact of climate change on migration and social unrest, especially in Tanzania. And it offers ideas for making a personal commitment to lifestyle changes, for taking action, and for meditation. 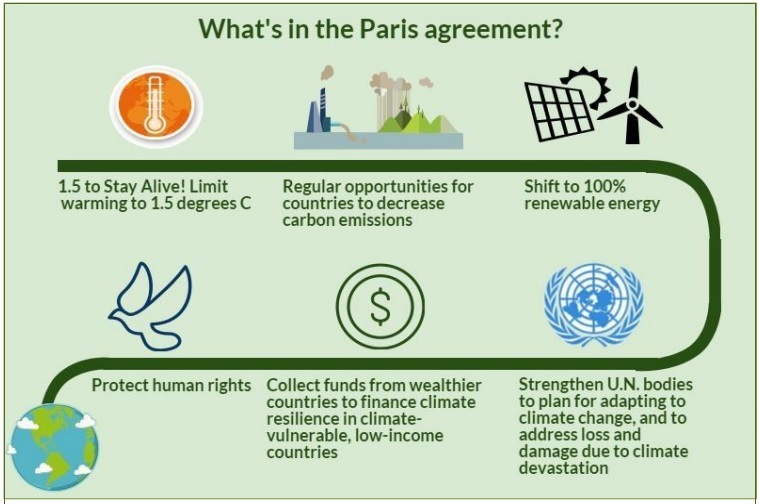 Download our summary of the outcomes: Path from Paris. Share each issue of Path to Paris plus the Path from Paris with your parish and friends; and use it for personal reflection.